In preparation for Wednesday night’s Community Advisory Board meeting, it is time for a little history to set the record straight. Tony Brandon and Barbara Bozzuto had already been trying to remove me as a force at our station prior to its official founding in February 2002. In March of 2001, I along with Martha Rudzki, and our attorney, Scott Johnson, formed a non-profit to buy WJHU from Johns Hopkins University. We urged listeners to contribute to the effort. We raised $750,000. This has become a bone of contention. Tony Brandon claims we raised less than $250,000. While the money itself is unimportant, in light of the effort I led to unite a community to build a new station, its disagreement is emblematic of the problem. One person who later became a guarantor pledged $100,000 the day we started our campaign to buy the station. In late summer another family introduced to me by Marilyn Powel gave $250,000. They request anonymity. Around that time Albert Williams, who became a guarantor, was introduced to me by Marilyn Powel. He gave $50,000. The rest came in contributions from $10 to $5000. We have all the records. Now we come to the station purchase. Jonathan Melnick, who became a guarantor, said to me that we can never raise all this money. We needed a bank and guarantors for a loan. He offered to become a guarantor. It was then that I met Tony Brandon, through a mutual friend. He offered his help. Tony and his brother own American General Media, the largest family-owned radio business in America. Tony brought in Mercantile Bank. They had been involved as the bank of record for many of his business dealings. He then brought in Charlie Salisbury, one of his business partners, to be a guarantor. So, we had four people (two of his and two I brought in) and the cash I had raised. Marilyn Powel introduced us to and brought in as guarantors the Daniels family and Albert Williams. Charlie Salisbury brought in the Linehans and the Bozzutos. We had our guarantors. It as at that point Tony Brandon came to me to say that Mercantile would not guarantee the loan as long as I was President of the corporation. He had to be President. I went along. I did not want to manage the station; I wanted to build our broadcasting world. It was then that it all began to unravel. I saw the danger signs. Tony Brandon said that if he could not run the station by himself he would leave. I responded that I was the guarantor of the listeners’ money ($750,000 in contributions) and I wasn’t going anywhere. From the beginning they tried to marginalize my influence and position at the station. I refused to budge. I demanded to be Exec. Vice President for Broadcasting, a member of the board, and a partner in running the station. They feared their effort would dissolve. So, Barbara Bozzutto brought in Ray Blank. Ray is a noted business consultant. He has saved and helped build many companies. He is a business therapist. In the press recently, Barbara Bozzutto said that they brought in a coach for me but it did no good. Well, that was a lie. They are talking about Ray Blank. While he has become a mentor for me in recent years, he was brought to WYPR to help Tony and I manage the company together. Tony wanted to do it alone, I insisted on being part of a team. From 2001 through the end of 2004 Ray met with me and Tony every Friday morning so we could come to management decisions. The gulf between us was wide. The make up of the board became a divide. I proposed that some of the $25,000, $10,000, $5,000, $1000, and donors of lesser amounts be made members of the board. I also suggested that members elect people from that community to be represented on the board. That was not accepted. The board became made up primarily of the wealthiest members of part of the community. There are many good people on that board; however, a public radio board needs a balance. We need all sectors of our community represented. It would create a dynamic synergy. Either they thought it would give too much power to me or their conception of a board is people like themselves. Tony Brandon and Charlie Salisbury insisted that I fire Sunni Khalid as News Director. First, Tony and some board members fought my effort to raise money to start a news department. By that time we had divided up responsibilities. It was my bailiwick so they had no choice, as I had little choice when I disagreed with his management decisions. I raised over $300,000 to launch the News Department, mostly from the Open Society Institute but also from Town Creek and Goldsecker. The first person I called was Sunni Khalid to be News Director. Then I called Fraser Smith to convince him to come over to us. They wanted to fire Sunni because he and seven other African-American employees were suing NPR for racial discrimination. He had been black-balled by the industry. I hired him because of his reputation for ethical journalism and because he would build a multi-cultural team that reflected our community. They asked if my loyalty was to the Chairman of the Board or to Sunni. I told them it was to Sunni and justice. They had to fire me first. Sunni stayed. You see the result. WYPR has one of the best local news departments in the country. Tony even tried to get me to fire Andy Bienstock. I stood up for him. Things do get convoluted. Ray Blank witnessed all this and more. OK, I could go on ad nauseum but let me stop and jump to the nitty gritty of 2004. We are now three years into the new station and my weekly marathon management session with Tony Brandon and Ray Blank. Baltimore Magazine’s Best in Baltimore issue came out. In it was a small piece that said “Most Unlikely Media Mogul …. Marc Steiner.” I thought it was hilarious, as did Valerie. But the next day I go in to see Tony, who slides the piece across the table at me. I quipped how funny it was. He said ‘It was not funny but an outrage.’ He accused me of planting it in Baltimore Magazine. He said it would chase off our biggest corporate and banking underwriters. He wanted me to write a letter to the magazine disavowing the mantle. He said that he and the guarantors deserved recognition, but the only one who gets is me. Then Barbara Bozzutto said that the station needed a second voice. Someone like Armstrong Williams, the Black conservative talk show host. She wrote a version of the history of the station that started to write me out of our history. She insisted that there could only be that public line about the station. I refused to sign on to that fabrication. So, they wanted a “Second Voice.” I began a three month research project that interviewed twenty sister NPR stations who had local programming, and studied the results of our focus group. I came back with a long report suggesting we need an Arts and Culture program. I had production plans in the report. It became Maryland Morning. I gave Tony the report, but it never got to the board. I was told I could not oversee the development of the new show, because it would be in competition with me. Andy Bienstock would over see it. The unraveling came faster now. Tony began lobbying the board that I was a loose cannon, bad manager and a cowboy. I put a grant in for our Vietnam Documentary. In spite of signing off on it, Tony tells the board it was my cowboy actions. This grant, he says then, has nothing to do with the agenda of the station. Just two weeks before my departure to Vietnam, Tony sends me an e-mail saying he is vacating the position of Vice President and I have a week to respond. I reject that, force him to back off, and go to Vietnam. He says I must have a response by July 15th. When we get back from Vietnam, an intense battle erupts all summer long over the issue. The board is convinced that I need to step down so I can pursue my work. Myth becomes fact. People are convinced this is being done in my and the station’s best interests. I could either have made this a public fight, which could have destroyed the station, or have negotiated a contract to my liking, so I could focus on my radio and community work. Tony Brandon and Barbara Bozzutto could not stand it that I was the voice and the face of the station. Tony kept on about how my shows insulted certain underwriters. Andy Bienstock became head of programming and the Vice President. My 7 PM repeat was taken off the air. My show became promoted less and less on our airwaves. There was constant pressure about my agenda not being the station’s agenda. It is our fifth anniversary year. 5th anniversary party held. I am not allowed to speak or even be mentioned in the program. Employees are called on the carpet for praising me at the event and allowing me to speak. They are told they cannot play to Marc’s agenda. There are two agendas, they say, Marc’s and the stations. So, it went on like this until Thursday January 31st when Ray Blank delivered the message that Tony Brandon and Barbara Bozzutto wanted an amicable separation. The next morning Tony delivers a letter of agreement I must sign if I want to get back on the air until May 29th. That afternoon they pull the agreement and cancel my show. That the real reasons both personal and political are clear. Marc, last entry in your timeline says 2007. I have no firsthand knowledge of any of the facts in this case. Marc’s post has the ring and feeling of truth, however, unlike everything that has preceded it. I hope people leave some comments in this thread about what they expect from the CAB meeting. What questions to you want asked, what messages do you wish delivered? The bank loan has guarantors, fine. Correct me if I’m wrong, though – the bank loan isn’t being paid from guarantor funds, is it? Isn’t the loan being paid from station income, raised from listener contributions and business underwriting? I think I have a point here, but I’m not sure what it is. Maybe I’m just echoing a previous comment from Marc, which said that the BoD should be more inclusive of (all) the stakeholders. What could have been anyone’s rationale for not wanting a news department? Did that proposal by any chance interfere with someone’s longterm goal of all canned all the time? Do the anti-news people now feel that the news department is a mistake? When the proposal for a news department was announced, I thought it was an audacious initiative, to be sure, and I didn’t know if it could be pulled off. Now, I can’t imagine the station without Fraser, Sunni, Melody, et alia, any more than I can imagine it without Marc Steiner. Oops, I shouldn’t have said that. Sputter sputter wheeze gasp! What I don’t understand is that, from someone who was so committed to WYPR, why you are inflicting so much damage on the station that you say you love. This fight is hurting public radio here in Baltimore. I was a big fan, and, while I don’t necessarily agree with what happened to you, I always thought that your heart was with WYPR (and public radio here in Baltimore). What is going on now with you and your followers is becoming so harmful. Probably less to Tony and Barbara and more to your former colleagues. Isn’t it time to move on and let those who you truly care for and work at WYPR get on with their jobs and their lives. Marc, you are truly talented and will find much success, maybe this will be a blessing and open many new and exciting doors for you. Your time at WYPR is over, please move on!!! Very upsetting to hear all of this. What can we do at the meeting to stimulate any change in the way things are being done at the station? I have already decided to stop monetary support but is there anything else to do that can let the station know that their lack of transparency and their manipulation is unacceptable in public radio? Kaki, I’m afraid I have to respectfully disagree with you. If you don’t like the management decisions of Walmart, you don’t shop at Walmart. True, it might hurt the little guy who works there and is innocent of any nefarious intentions, but a slam to the PR or the pocketbook is the best way to get a corporation’s attention. I don’t see this as any different. More directly responsive to your point, I think the ultimate goal of most everyone here is to strengthen WYPR. I want to relate an experience my husband had last night, because I think it could be pertinent. First let me say that we are big proponents of localism; we eschew chain stores in favor of local ones, almost across the board. So it has been very difficult for us in dealing with the station’s sponsors, most of which are local businesses and some of which we have patronized for years. There is one such establishment that we have gladly supported, which has a connection to the board. Last night we found that there was something that we needed that only that place had, so we decided to buy it from there. But we decided to express our concerns. So, and I’m reporting this second hand, my husband goes to this place, picks up the necessary item, and at the register asks if the person in question was in. He is told no, but the person at the register asks if he wants to leave a message, and so he does. He expresses his/our conflict over the situation at hand. He is a very diplomatic individual, I must admit. What he relayed to me, via the person at the register, was that the person, as a member of the board, is not speaking individually; there is a spokesperson. However, apparently this person and apparently other members of the board were not aware of the action before it occurred. The person at the register is also aware of other conflicts at other locations in town. There was another report I read, I believe in the Sun but perhaps in the City Paper, that a member of the board (not the CAB) said that they were caught unawares by what happened. As someone who is not really up to speed on these issues, I don’t know what all this means, for a non-profit organization or a public radio station. Maybe it means nothing at all. But in the event that it could be helpful, I just wanted to relay it. I thought the idea of public radio was that issues were discussed honestly and openly, not under threat of insulting underwriters. At a time in our history when the co-opting of the media has had such disastrous consequences, i.e. Iraq, etc., etc., that public radio should follow such a foolhardy path is an insult to those who care about our country and community and value public radio. It is not surprising that Barbara Bozzuto might have wanted to bring in Armstrong Williams. We all know what a strong, principled and unbiased voice he was, the very symbol of what is wrong with the media in this country. Executive staff officers of any organization have a lot of latitude, not every action needs BoD approval. This matter surpasses an ordinary personnel decision, though, and if the BoD was treated like mushrooms, I wonder if Brandon might be perched on a limb and hearing the sound of a chainsaw. What amazes me is the attitude of the WYPR management staff. I’ve had an ongoing email exchange with Tony Brandon that originated with me voicing my displeasure with what the station had done with Marc. The responses I’ve received have shown a complete lack of why so many people are upset and angry. It is like he lives on another planet. I get the sense that he has not one iota of understanding of what public radio is all about. I had no idea. I am appalled at how this went down. You and your show WAS wypr to me. After following everything I can about Marc’s firing/cancellation (I missed the last Ed Norris show spot), I gotta say I’m still bewildered as to why Marc was ushered out. What Marc relates above really feels like the how but not entirely the why. Does Brandon et al really want to focus on corporate underwriters? Isn’t that running YPR like a commercial station? Is this really the reason – http://www.citypaper.com/news/story.asp?id=10943 ? Sorry to seem dense here, but all this ill will towards the station is over a personal beef over accolades? u know if all employees practiced non violent resistance, they could stop the station and redirect itOVERNITE! The more I read about Brandon, the more he seems like another Peter Angelos – both seem to foolishly equate having the funds and passion to put themselves at the top of their respective organizations with having the sensibility to run them well. As for Kaki’s remarks, I strongly disagree. I might be more sympathetic to the view that it’s time to move on if Marc’s firing hadn’t been one of the most disgraceful and unprofessional terminations I’ve ever seen. The station’s upper management deserves the sole blame for any damage done to WYPR. As much as I feel sorry for the WYRP staffers caught in the crossfire, there are bigger issues at stake here that can’t be buried just because it would be easier for everyone to “move on”. I haven’t listended to 88.1 since Marc’s firing and as far as I’m concerned Baltimore no longer has a public radio station. I know a lot of people who feel the same way, and we need to fix this. 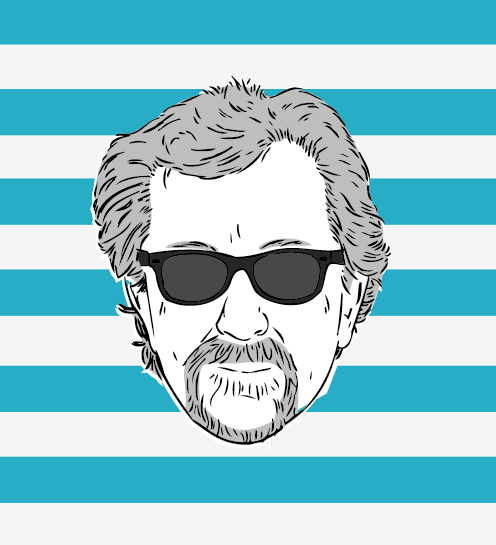 – A public apology to Marc and his listeners over the badly bungled handling of the firing. 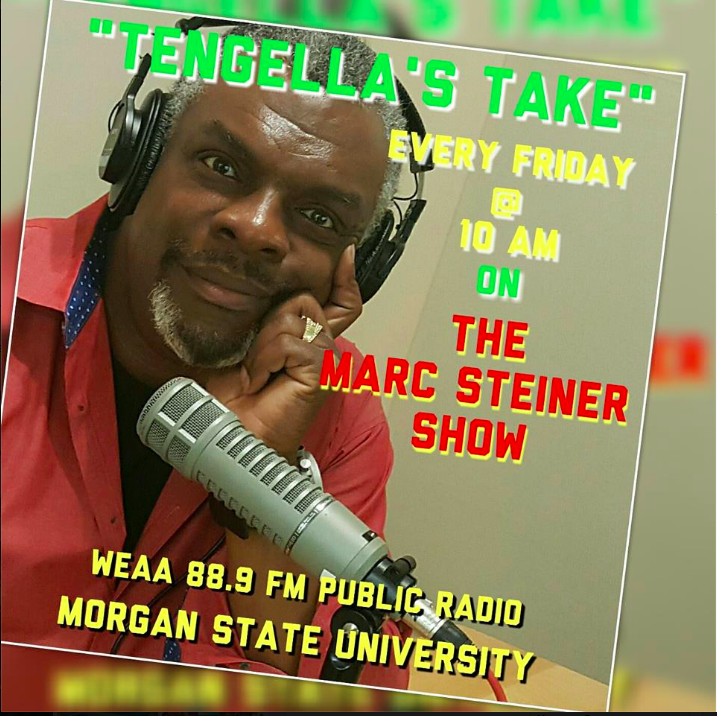 – An unequivocal retraction of all statements made to the effect of Marc’s fundraising being insignificant, his role in the purchase of the station being insignificant, the Steiner Show’s ratings being too low, and the show being too Baltimore-centric. – A policy put in place that the BoD is, at a minimum, informed of any proposed programming and/or on-air personnel changes. – At least one sub-$1000 listener member and at least one low-income listener member or non-member are seated on the BoD. – A committment to finding underwriters and donors who will not try to influence programming. WTMD- a PUBLIC SERVICE of Towson University- yes, we still have a public radio station, and they play great music, then deliver the national NPR news every hour along with Towson University sports events. WYPR is finished, they have turned into a corporate communications company just like a mini Clear Channel. Watch as they cut back on expenses so they can pay fat salaries to Bozzuto and Brandon, the “Killer B’s” of WYPR. I tried to get WYPR to carry Democracy Now but of course that could never happen while they were sucking up to Wal-Mart and other huge exploiters. It is about integrity. It is about the “public” in public radio. And it sure seems from what is being said, that it’s about a few small minded people who forgot what the focus is. I listened to WJHU for the first time when Derrick McGinty left WAMU. While Baltimore issues never caught my attention, I was impressed and came to respect the way Marc conducted himself and the integrity he brought to all of the subjects and individuals he introduced us to. I appreciated the way he did not back down on positions or debates, especially on political matters that could be confrontational. You might not like the answers, but you got all sides of the debate; fairly moderated and above board. I’ve been away for a couple of weeks ad just found out two days ago about the firing…to say I am disappointed in the actions of those who did this would be an understatement. But the more I understand about them, the less I am surprised. To the employees who have supported Marc…thanks. You have functioned as our “voice” inside the walls. As to the “management?” Thanks. Now that we finally have the truth, you’ve made my decision on where to send my endowment…it will not be to WYPR as is currently is managed. You are not worthy of it. The upside? Now I don’t have to worry about bleed through on 88.1 from XM radio…I’m switching back to 88.5 WAMU. I think this is a very accurate assessment. The money people were mad that they didn’t get credit from the media and public. Marc did the right thing by publicly giving them the credit they deserved, but in Brandon’s eyes, it wasn’t enough – neither to suit his pretensions of artistic authority, nor to mollify the corporate underwriters who likely viewed any left-leaning opinion as antagonistic towards business. The suits aren’t creative people, so they’re naturally jealous of people who are. And they find it offensive that nobody respects their money. That’s the core truth, in my opinion. Time to move on. The gulf was clearly so wide, that compromise, needed years ago, was impossible. I listened to the show, and it was often very good, but let’s face it, to often it really dragged. In the short run, this is going to be a tough time for WYPR. However, in the long run, callous and careless management practices will hurt the station far more than our protests. Even if we aren’t able to bring The Marc Steiner Show back (and I think it’s very worthwhile to try)… even if we can’t force Brandon and Bozzuto to give an accounting for their actions (and I think that we MUST try)… maybe, in the future, management will be forced to think twice before making decisions that fail to take into account the will and desires of the listeners. Where is the line between harming public radio and saving it? If the station’s management acts in ways that are harmful to the spirit and substance of public radio in Baltimore, shouldn’t we express our displeasure? Isn’t it for the best to bring poor management practices to light so that there’s the chance for change? If you think that your family/station/employer/city/country is acting poorly, I believe that it is your duty to speak up. I’ve observed that many of us feel conflicted about protesting against a station we dearly love. I can say for myself, however, that I wouldn’t be taking the time to protest if I didn’t love the station. This is not about expressing blind anger about the cancellation of a show I enjoy (though I admit, it may have started that way). This is about insisting that our public radio station be responsible to the public. If folks did that every time there was a problem the Civil Rights movement would never have happened…hell, we wouldn’t even be a country, we’d still be a collection of English colonies. DIdn’t Tony inherit his company from his father? He doesnt seem very intelligent when I’ve spoken with him in person. I think everything was handed to him on a silver spoon and he never had to work hard for anything. Perhaps he doesn’t like Marc because Marc worked hard for everything he has. Any possibility that we could hear some more details on this? Which underwriters? What shows? There seems to have not been a firewall between underwriting and programming in Tony’s mind, which is very troubling. Maybe Marc’s legally prohibited from discussing this…? Or maybe someone had discredited the whole Constellation connection and I just missed it? Every institution, it seems, reaches a point where keeping the doors open becomes more important than pursuing the goals for which the institution was established. I do hope CAB considers this dilemma. The other point, of course, is the destructive nature of an us-vs.-them mentality. We need to keep our eyes on the prize AND be all-inclusive (yes, even ‘them’) in our effort. Um, I actually went to the 5th Anniversary shindig, and I recall you speaking, having a 45 minute Q&A session devoted to you and your show, and having this promoted in the program they provided. Am I remembering this wrong? To think all that was going on whilke we were just mindlessly enjoying your show and all the other WYPR programs…. I can’t imagine putting up with all that all those years….Well the truth is out… and for all of us who listened to you early on… WE KNOW what your involvement was… .what your passion was for public radio for the people here in Baltimore…. It was that passion and committment that drew people to support the station and your show…. Ugh Marc! I am newly disappointed in you! I can’t believe the arrogance of you using what I properly see as Sunni Khalids private business to bolster your own personal ego campaign. That is just wrong to use what you knew in confidence. It is only his to share if he wants. You should call him and apologize today! You have skeletons of your own that the journalists in town obviously know, but maybe your blog readers don’t. I just want to let you know that Marc did ask Sunni if he could share that story. Sunni said yes. Thanks for checking with Marc. I thought it was important enough to check with Sunni too, and in fact he did NOT give Marc permission to appropriate his story for Marc’s purposes. Sunni is upset about it. You should keep that in mind….. I spoke with Sunni last night and again this morning. We have a long and deep friendship. I wanted to make sure he did not think that somehow I breached that line of trust between us. Sunni assured me I did not. He said what I wrote happened and that he has not spoken with anyone named Edgar or anyone else about being upset about what I posted on our blog. He added that he wished I had called him first, but it was no big deal. It occurred the way I wrote, it is fact and our friendship is as strong as ever. I just wanted to let you know that I was in fact standing there when Sunni indicated that it was okay for Marc to share the story. This happened on Sunday Feb the 3rd when we were packing up Marc’s office. Now there may have been a misunderstanding of some kind, but I was there and I assure you that Marc was under the impression that Sunni had given permission. So the story was shared honestly with the impression that Sunni had given his permission. As you can see above, Sunni and Marc are fine, and Sunni has no recollection of speaking with you or anyone about the blog post. I am not sure what that means. I must have been misinformed and I wish to sincerely apologize without condition for inserting myself. Thanks for remaining civil. I would be obliged if you would delete my inappropriate posts if that is OK with your blog policy.